Wed, Apr 10, 2019, 09:44 pm SL Time, ColomboPage News Desk, Sri Lanka. 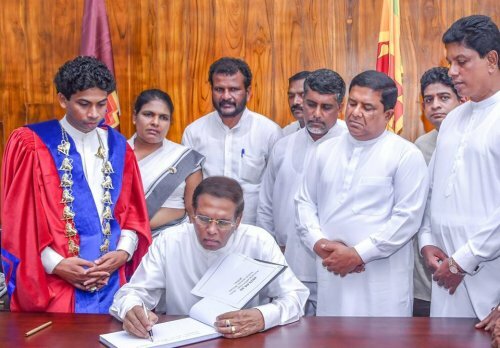 Apr 10, Colombo: Sri Lanka President Maithripala Sirisena says failure of people's representatives to fulfill their responsibilities as well as fraud and corruption are the main obstacles to the development of the country. President Sirisena pointed out that regardless of whatever statements made at the election platform, some people's representatives elected by people's vote are not concerned about attending parliament sessions or participate in the provincial council or Pradeshiya Sabha meeting and then they will not be able to understand the problems of the people of the country. President Sirisena made these comments addressing a ceremony to vest the new building of the Polonnaruwa Municipal Council with public today. Addressing the gathering, the President said although contested on different political platforms, once they are elected, the responsibility of the local government representatives is to work together for the benefit of people setting aside the party differences. The President, noting that except for the executive presidency, an executive power is vested with the Mayors and Chairmen of Pradeshiya Sabhas and the development in the local government sector is limitless, reminded that the local government institutions have the opportunity to launch development projects through any field for the benefit of the people of the country. "Therefore, it is the responsibility of all the people's representatives to commit their authority and responsibilities for the welfare of the people in the country," the President stressed. 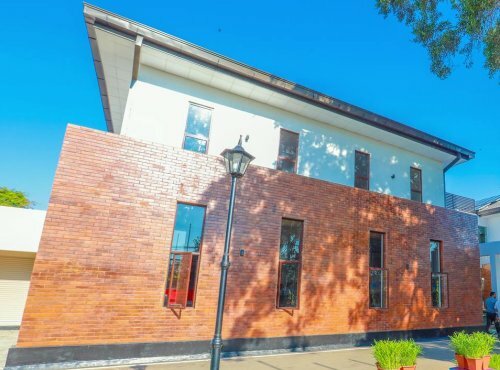 The new building of the Polonnaruwa Municipal Council with all facilities has been constructed at a cost of Rs. 1.9 billion under the 'Awakening Polonnaruwa' District Development Program. The President after unveiling the plaque and vesting the new building with the public, engaged in an inspection tour of the building. Minister Vajira Abeywardena, MP Wasantha Senanayake, Governor of the North Central Province Sarath Ekanayake, Governor of North Western Province Peshala Jayaratne, Polonnaruwa Mayor Chanaka Sidath Ranasinghe were also present.